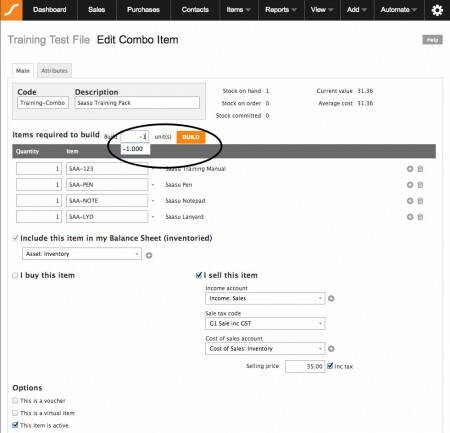 Combo items are products, bundles, or services you build from individual inventory items. They are normally finished goods that are made up of other Inventory Items. 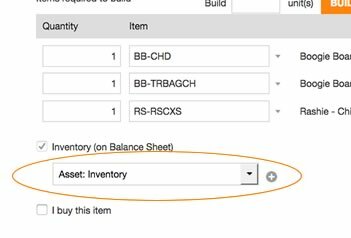 Think of the Combo Items Inventory as a separate warehouse to the Items Inventory, as this is how the stock on hand figures are treated. 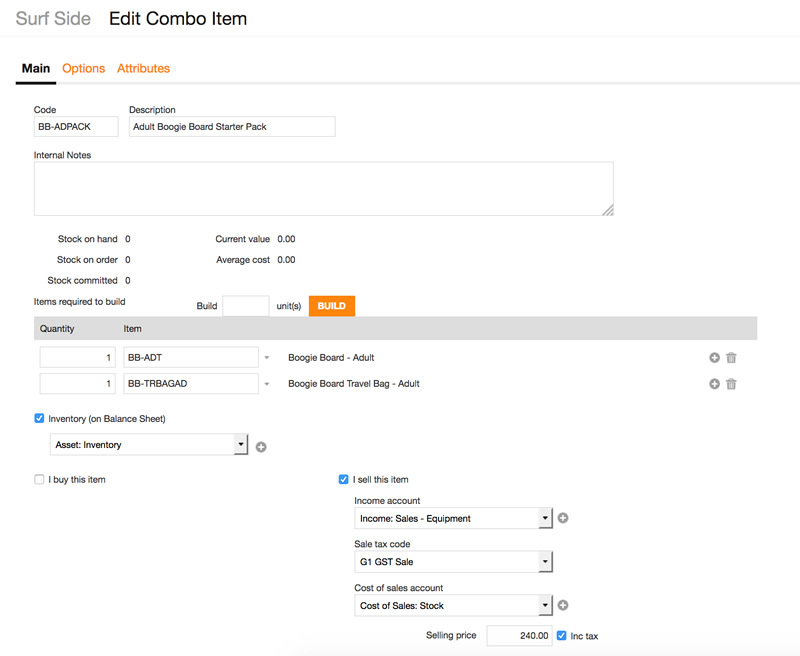 When you build combos, stock are taken from the individual Item’s stock on hand figures and transferred to the combo. The accounting method you use to track Inventory and Combo Items is an important decision you make with your accountant so before proceeding, ensure you know and understand which method to use. 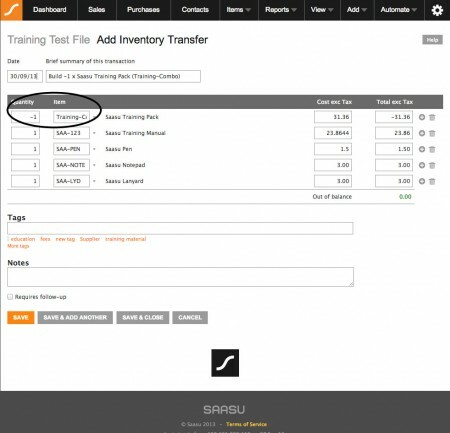 All our demonstrations are using sample Ledger Accounts. Always check with your Accountant regarding the correct accounts to use. You build them from Items. So make sure you setup your Items first (and that there are stock on hand). Note at this stage, the combo is not yet built. This is simply the setup process. Now go to Items > Combo Items, click on ‘Add’ and then fill in the fields ‘Code‘ and ‘Description‘. Now choose the quantity and item for this combo. If you require more than two line entries, simply click on the plus icon. 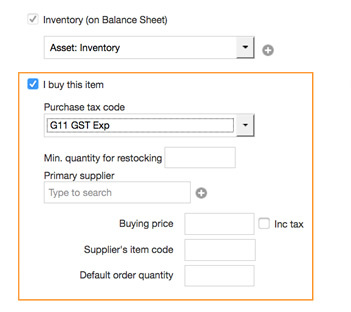 Note: In our example we are not ticking this option as the items were bought and entered separately as items. Now once you have entered all the required information, hit ’Save and Close’ to go back to the main Combo item screen. You will notice that, Stock on hand is currently 0. But you have just created a combo, how come? Creating a combo item simply creates its record in Saasu, but you must still let Saasu know how many you intend on building. Now that Combo Items have been setup, you are ready to update the system with stock on hand figures. Note that in the above example, we are building 1 pack of ‘NeckL-Custom‘, which consists of 50 x Assorted-Beads, 1 x Thread, 1 x Labour hours. 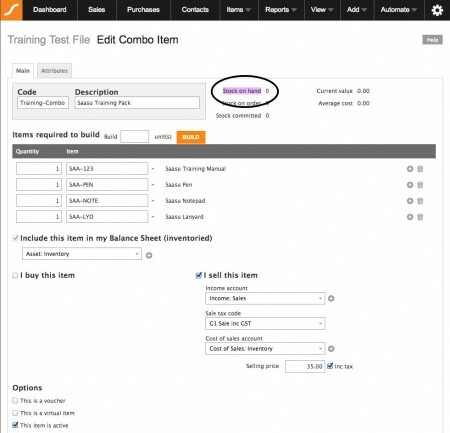 Like individual items, combo items appear in the same drop-down list when invoicing (both sales & purchases). But what the invoice will not show is the contents of the combo item. In our above example combo item ‘NeckL-Custom’, it appears in the invoice as per the setup of the combo, using the description. If you want the invoice to detail the contents of the combo, you will need to add this to the description. Note: The Reports section will show values for both combo items and individual items. Also used for breaking a batch, unbundling and breaking a kit. A major benefit of our combo items is that you can further build from combo items and even disassemble or unbatch combo items back into their components. Note: We do not recommend this to process a packaged purchase, which you intend on taking apart to sell individually (such as a 24 x pack of assorted beads) as it is easier to use the purchase order method to receive these individual items instead. Ensure you have the combo item in stock because you can’t disassemble something that isn’t in stock. Select Items > Combo Item, and bring up the combo you wish to disassemble by clicking on the edit icon. Now click on ‘Build’. The Inventory Transfer transaction that does this will load so you can confirm and save it.